Detroit, Dearborn, Flint and Lansing often take much of the credit for the state’s automobile presence and dominance. However, there were many others manufacturers in the early days, Jackson included. In fact, Jackson was and still does focus much of it’s industry on automobiles. Prior to Henry Ford revolutionizing the production line in Detroit, many companies were making parts for cars and assembling whole vehicles. By the year 1910, automobiles were Jackson’s number one industry. In fact, over 20 different vehicles were being assembled in Jackson, including Buick and vehicles from native Jackson companies the Jackson Motor Car Co. and the Jackson Automobile Company. Prior to Buicks being produced in Flint, they were produced in the Kelsey-Hayes Building. The president of Buick was the well known William “Billy” C. Durant, later the president of General Motors. 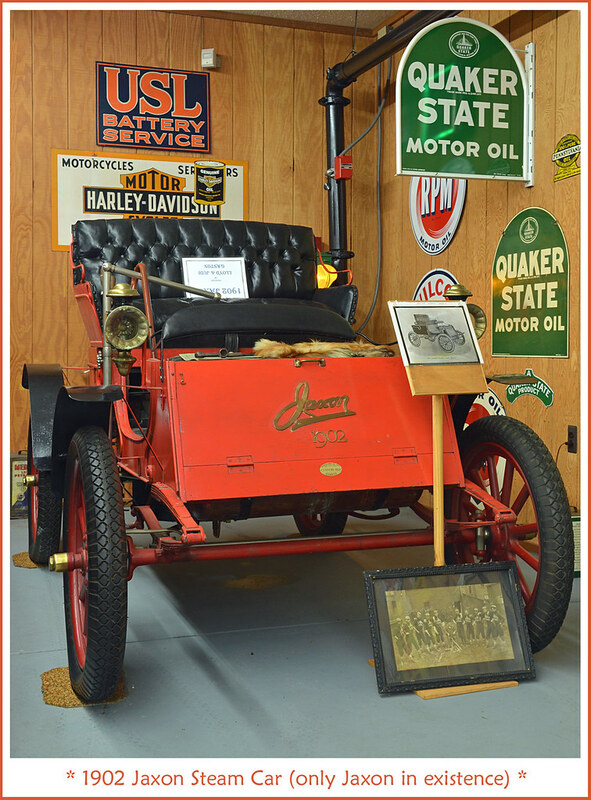 Today, many of the vehicles that were produced during this era are preserved at the Ye Ole Carriage Shop in Spring Arbor, MI. Some notable vehicles that may be seen on display include the 1902 Jaxon, a 1963 Rolls Royce and even a DeLorean as seen in the popular movie series Back to the Future.